An easy and impressive update to a bathroom can be the replacement of the medicine cabinet mirror. This piece would make an excellent choice for that project because of the beautiful decorative accents at each corner of the rectangular space. 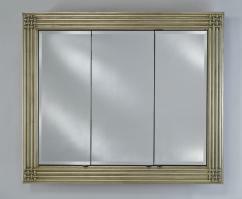 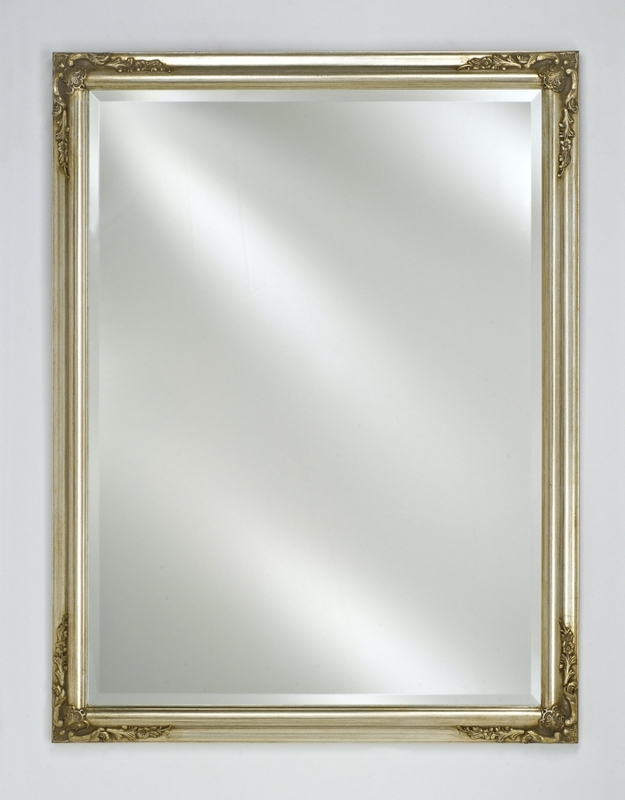 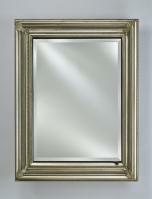 The finish of the frame is available in several color choices.